Located in Progress Ridge in Beaverton, Avenue Hair Salon is an Aveda Family salon with high-level professionals ready to meet your needs. We have established a positive reputation based entirely on quality, service, professionalism and deep knowledge of our profession, products, and industry, making us a great partner for your hair and skin care needs. We carry products from Aveda, Brazilian Blowout, Kérastase, and Goldwell. It is our mission at Avenue Hair Salon to provide all our guests with a remarkable experience while performing our business with integrity and deep knowledge of our profession. We are committed to providing superior service to each individual guest with added value. Through our friendly customer service and life long education, we will strive to be your number one choice for all your salon spa needs while setting the standard in salon environmental responsibility. 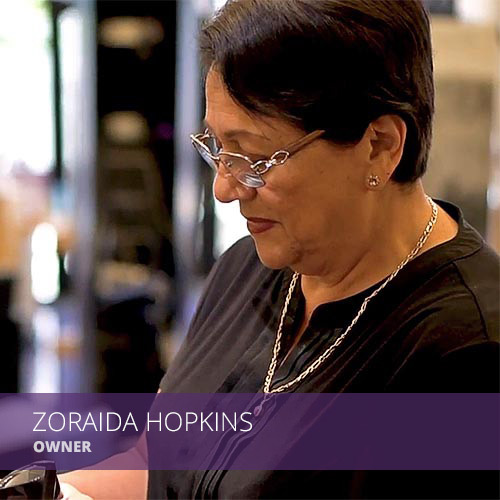 Zoraida has been in the industry for over 30 years, Her passion was sparked from the need to provide for her children as a single mother. Early in her career she surrounded herself with talented stylist and learned best industry practices that are still relevant today. Feeling that something was missing, she seeked out international continuing education, taking Toni & Guy Classes in London and Milan. Some of the national classes include Brazilian Blowout, Goldwell, Sam Villa, and Pravana. In her pursuit of education, she has been certified in non-surgical hair placement, to find solutions for Men and Women struggling with hair loss. Gil is a second generation stylist, who is always seeking inspiration in unique places to create the unique personalized hair. He graduated top of his class in record time, he also has inherited his mom’s passion for continuing education and has been trained with industry leaders, Sassoon Academy, Sam Villa and Goldwell KMS Academy. 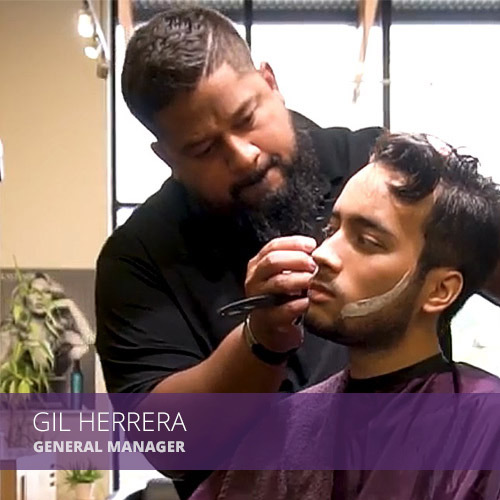 Once getting his hands on Goldwell Color he knew he had to become an educator for them, currently Gil is a regional educator for Goldwell Color teaching the color line to licensed stylists in the Portland metro area as far south as Salem. Gil is our resident Balayage, fasion color and barbering Expert. ©2019 Avenue Hair Salon ® - Do not copy. All rights reserved.